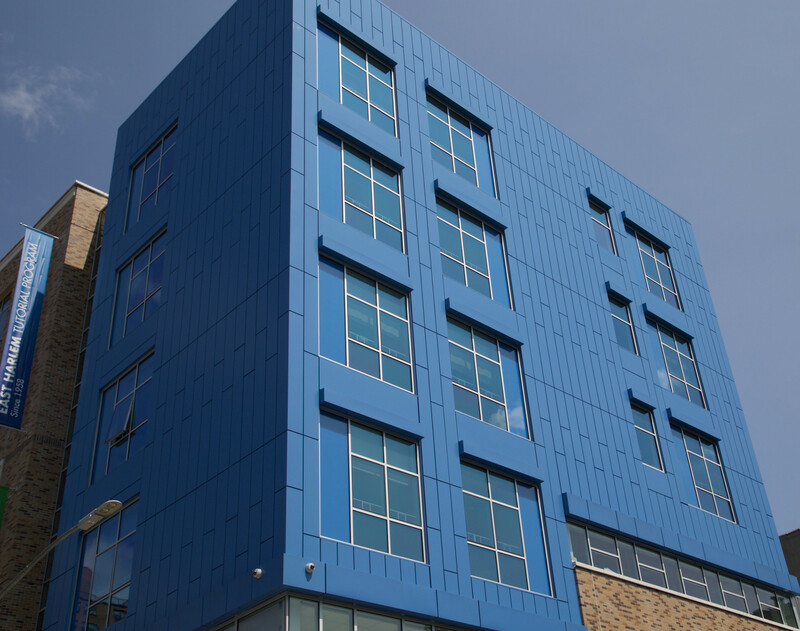 The East Harlem Education Center was conceptualized to be the home of the East Harlem Tutorial Program—a program dedicated to furthering the educational welfare of Harlem’s citizens. 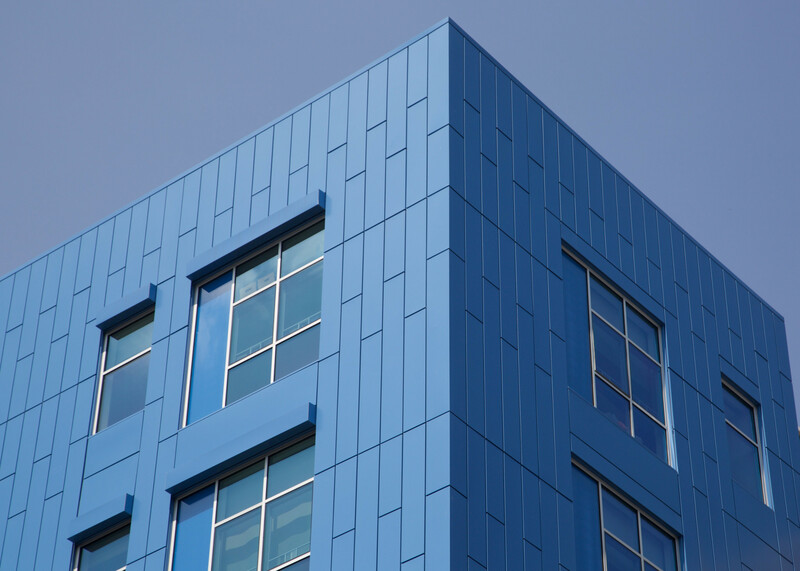 It was always imperative that the building would stand as a symbol of hope for a bright future in the community. 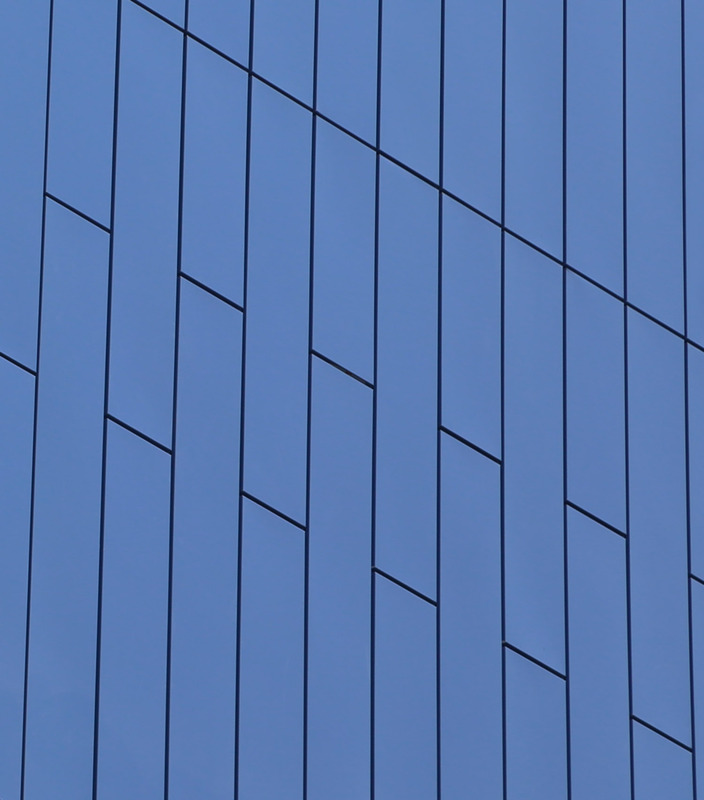 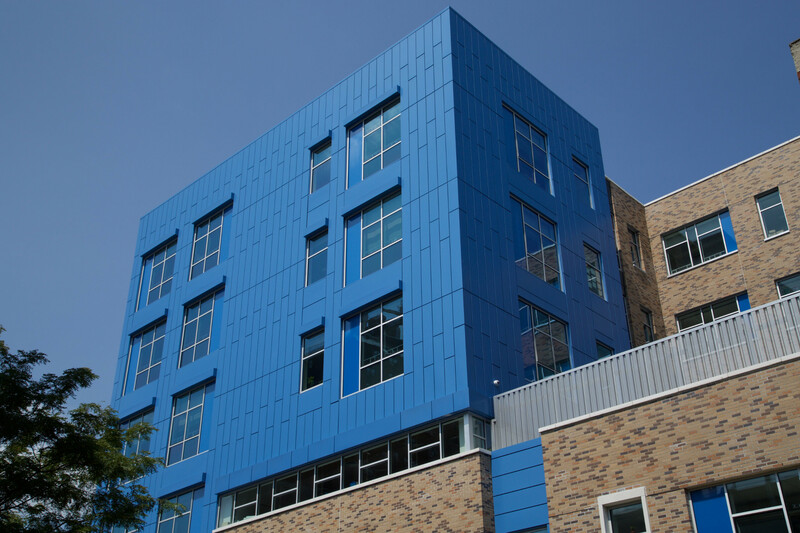 Exterior features were just as crucial in the design as the interior, and building owners wanted the East Harlem Education Center to be a “beacon of blue” to its residents, achieved with versatile Intercept modular metal panels.